Window Trends is NOW a Certified Hunter Douglas Consultant ! Window Trends was lucky enough to donate to this wonderful campaign for the children of Morris Plains. MPPD Start Trading Card Campaign and Window Trends was lucky enough to donate to this wonderful campaign for the children of Morris Plains. A few of the officers came into our showroom personally to thank us for our donation and gave us a plaque with all the trading cards, which is now hung up in our showroom for everyone to see. Baseball cards but better, the MPPD wanted to encourage children to come up and say hi with this new game. 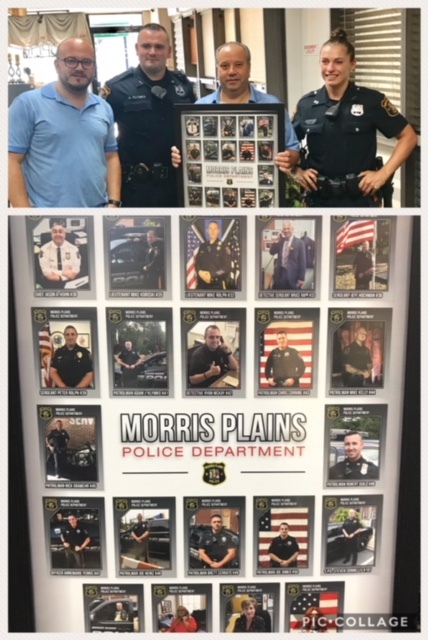 Morris Plains police department wanted to encourage the township children to meet local police officers, so they started a "Trading Card Campaign." The cards are like baseball cards, with a photo of the officer on the front and a short biography on the back. The officers carried the cards while they're were on duty, and the first four children to collect all of them won a prize from Police Chief Jason Kohn. The program was open for kindergarteners through eighth graders. Approach the police officer only when they are not busy. When you approach a police officer, do so as if you would any other adult, using words, "excuse me and thank you." If the police officer is engaged in conversation, please wait until they are finished. Do not chase police cars. If cars drive down your street wait until they stop, or for another opportunity. In addition to meeting the officers on the street, many officers spend time at Police Headquarters, so feel free to stop down and meet them. There is no deadline for collecting the cards. Remember, this is a great opportunity to meet the officers of the Morris Plains Police Department. Parents are encouraged to bring the children to meet the officers, however do not pick cards up for your children. Age range: Kindergarten through 8th Grade only. 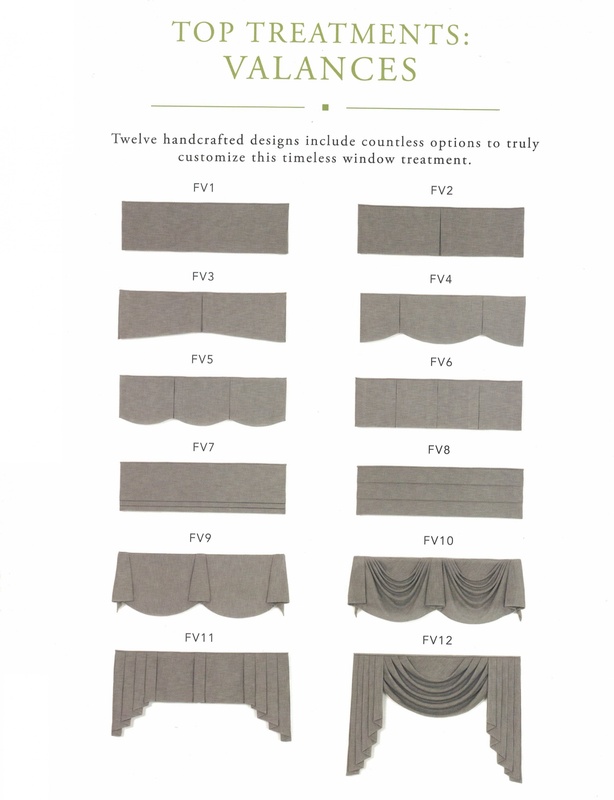 Custom Made Draperies, Side Panels, Roman Shades, Valances & Cornices! 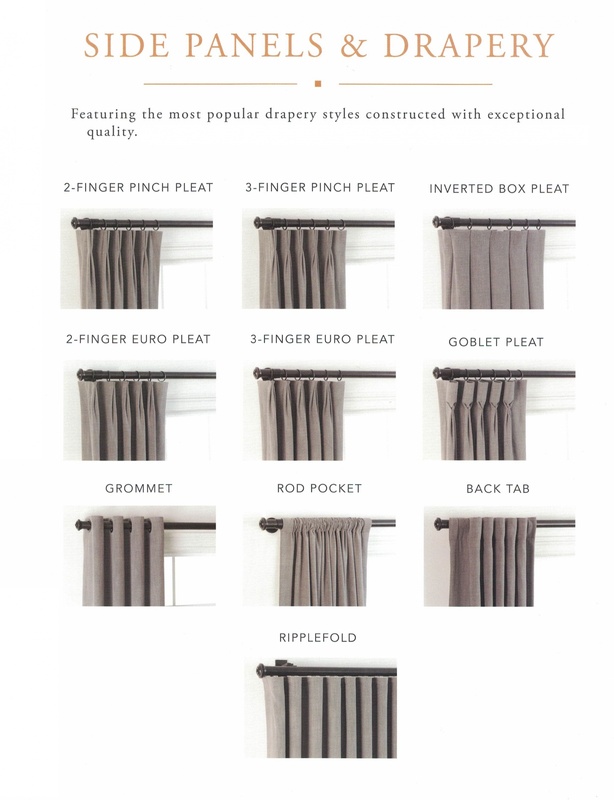 Explore all the many options that Window Trends has to offer you!!! LETS THINK SPRING & SUMMER! Call Window Trends TODAY to set up a FREE in home consultation for your new awning! We have some amazing deals going on right now! Sunair® awnings offer spectacular advantages in reducing energy costs while keeping you cool on your deck or patio. You can reduce heat gain inside by as much as 77% and reduce sunlight and glare through your window by as much as 94%. Sunair® solar screens can significantly reduce indoor temperature and save money on your cooling costs. Depending on the type of fabric used, the solar screen can reduce ambient room temperature by up to 20 degrees. Both interior and exterior solar screens also reduce or eliminate sun glare while still keeping a view of the outside. And, Sunair® solar screens help prevent fading of your home’s interior and furnishings. A Sunair® awning provides you and your family with 99% UV protection from the suns harmful rays so you and your family can enjoy the outdoors without worry. Sunair® awnings can reduce heat gain inside by as much as 77% and reduce. Awnings can reduce annual cooling energy by as much as 15% in hot climates like Houston, Texas and as much as 17% in moderate climates like Washington, D.C. Sunair® solar screens can significantly reduce indoor temperature and save money on your cooling costs. Depending on the type of fabric used, the solar screen can reduce ambient room temperature by up to 20 degrees. An exterior solar shade can block up to 90% of solar heat rays, and therefore reduce air-conditioning costs by as much as 40%! 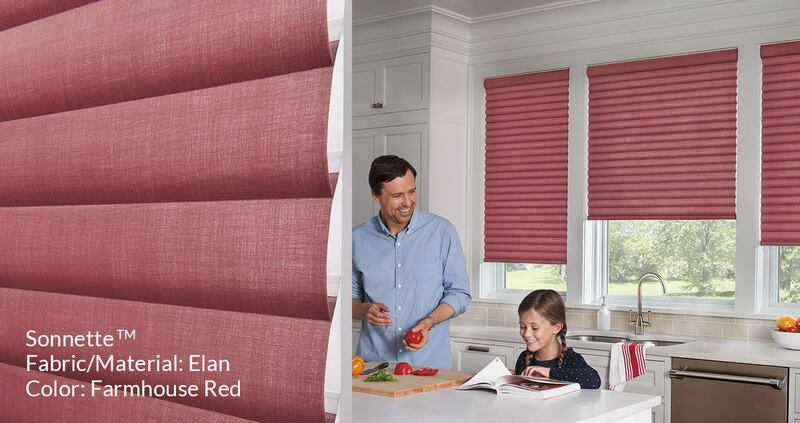 The clean look of a roller shade with the energy efficiency of a cellular shade! The power to transform any room starts with your window coverings. Our window specialist can help you choose a fabric that perfectly matches your décor or adds a pop of color to your room. 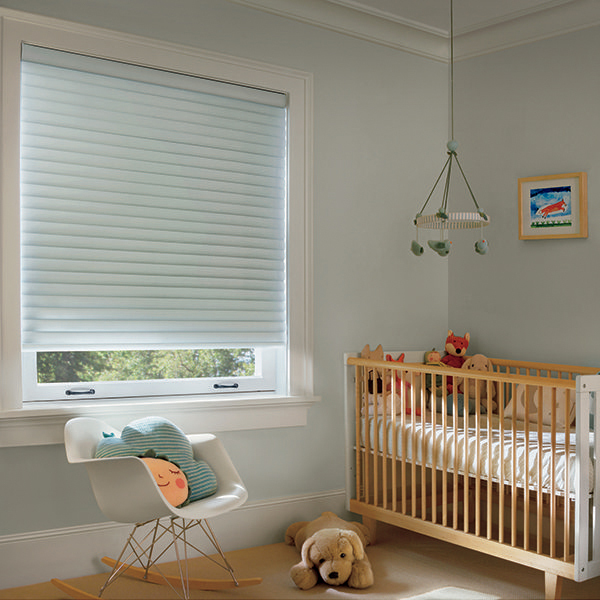 Sonnette Cellular Roller Shades are 100% cord-free for safety, convenience and ease of use in homes with children and pets. At Hunter Douglas, we’re constantly innovating. 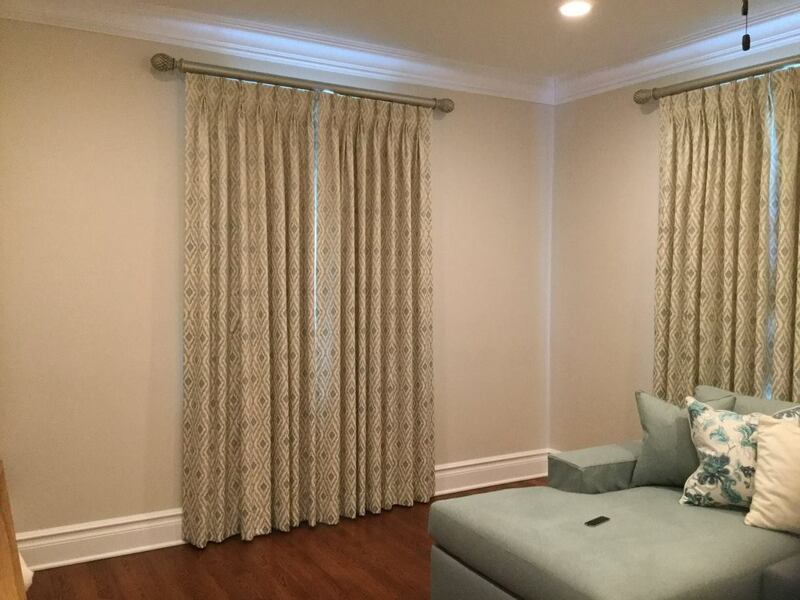 Sonnette shades combine the best properties of two of our best selling window treatments to create a shade in a category all by itself. Best of all, our shades are designed and custom-assembled in the U.S. and come with a Lifetime Limited Warranty. Visit Window Trends at either of our showrooms 662 Speedwell Ave. Morris Plains, NJ 07950 or 240 A. Main St. Chatham, NJ 07928. Or you can just give Window Trends a call at 973-401-9048 and we can set up a free in-home consultation! 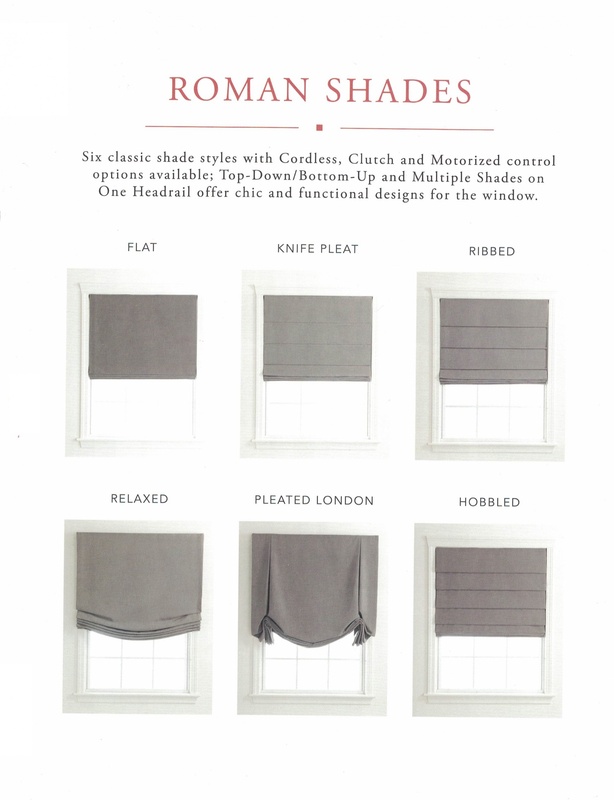 Morris Plains, NJ (July 15, 2016) – Window Trends, a family-owned and operated window treatment company with state-of-the-art showrooms in Morris Plains and Chatham, is proud to offer the new and improved Duette® honeycomb shades. Window Trends is also pleased to announce that these shades now integrate Hunter Douglas’s innovative Ultraglide® operating system. 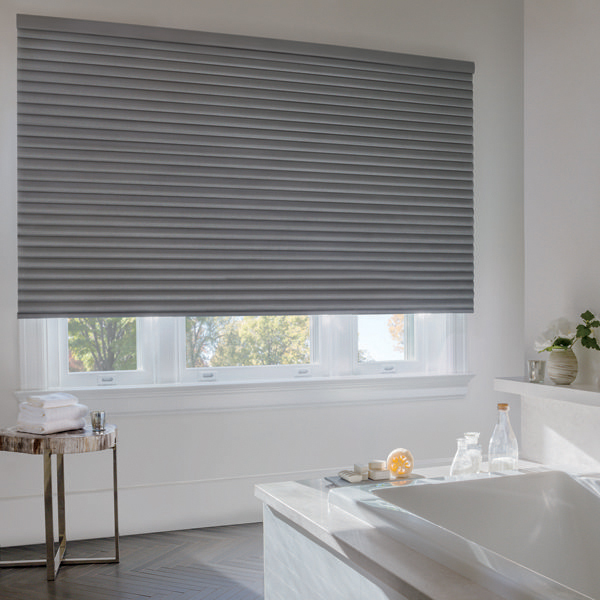 Recently, the industry-leading Hunter Douglas Duette® collection has expanded its color selection, updated its head rail to a more sleek and modern look, and revolutionized its functionality to the Ultraglide® system. 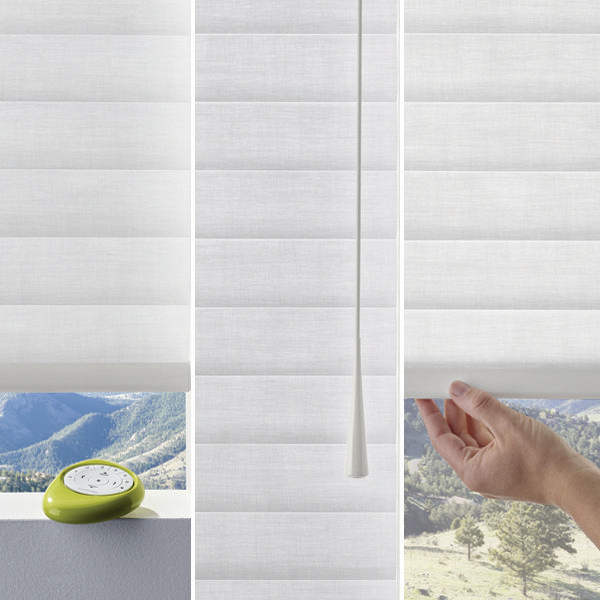 This operating system uses a retractable cord mechanism to raise and lower the window shade or shading. A constant cord length means there are never any long, dangling cords to detract from the appearance of the shade, which is also ideal for child and pet safety. “As one of the area’s premier Hunter Douglas dealers, we are thrilled to offer these new window treatment options and this intelligent operating system that will soon become the industry standard,” Iannone said. Chatham, NJ (May 21, 2016) – Window Trends, a family-owned and operated window treatment company, expands its footprint this spring with the opening of its second state-of-the-art showroom in Chatham. Now in its thirty-sixth year of business, Window Trends celebrates this expansion with a grand opening event on May 21. Window Trends’ newest showroom is the first Hunter Douglas Centurion dealer in downtown Chatham and proudly offers the exclusive Hunter Douglas Alustra collection. Window Trends is also the region’s priority Sunair Awnings dealer. Window Trends’ new 600-square foot showroom is located at 240 A. Main Street in Chatham. “Our goal with this space, in addition to our Morris Plains showroom, is to become an inspirational hub for the latest products offered by our outstanding partnering manufacturers and to help our clients envision their homes with these beautiful and energy-efficient enhancements,” Iannone said. 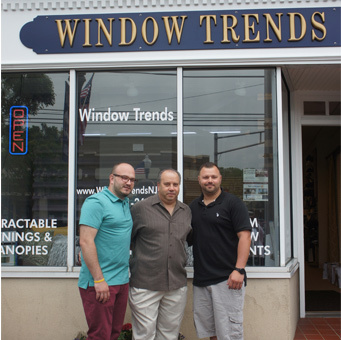 Morris Plains, NJ (April 4, 2016) – Window Trends, a family-owned and operated window treatment company with state-of-the-art showrooms in Morris Plains and Chatham, NJ, is proud to participate in a 2016 federal tax credit opportunity promoting sustainable living. Federal tax credits stemming from the Protecting Americans from Tax Hikes (PATH) Act of 2015, which gave federal tax credits on select energy-efficient products, was reinstated this year. 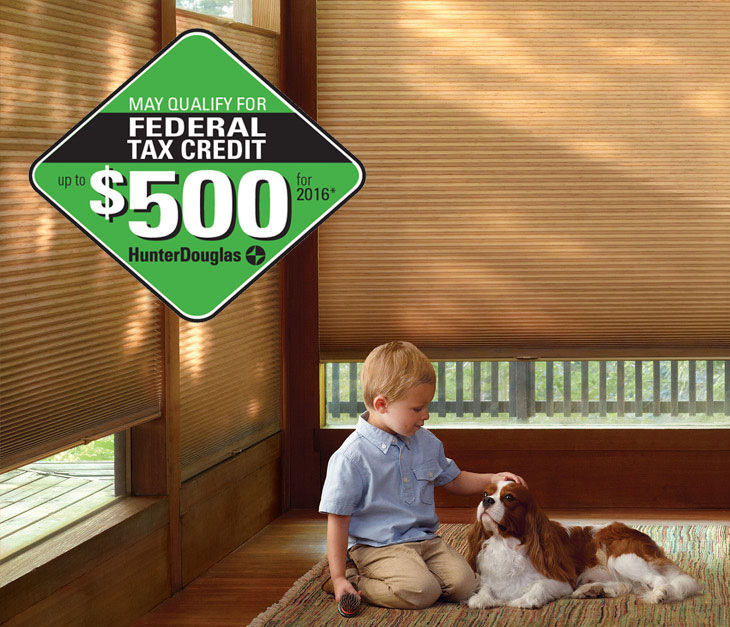 Window Trends proudly offers Hunter Douglas window treatment collections that qualify for this federal tax credit of up to $500. 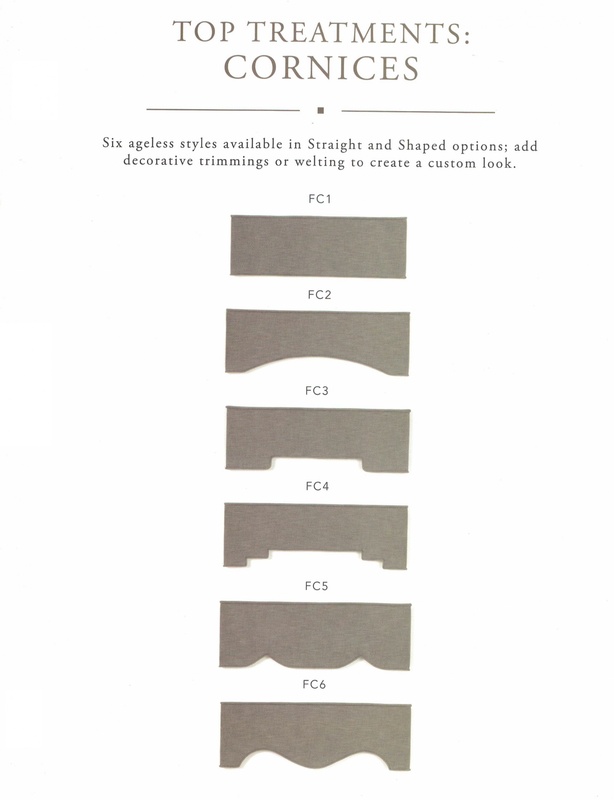 Using such window treatment systems prevent loss of valuable energy. Studies show that as much as 40 percent of a home’s heating and cooling energy can be lost through windows. The proprietary honeycomb-within-a-honeycomb shape of the Hunter Douglas Duette® Architella®—one of the eligible collections—shades insulates windows, keeping a home cooler in summer and warmer in winter, helping save on energy costs year-round. 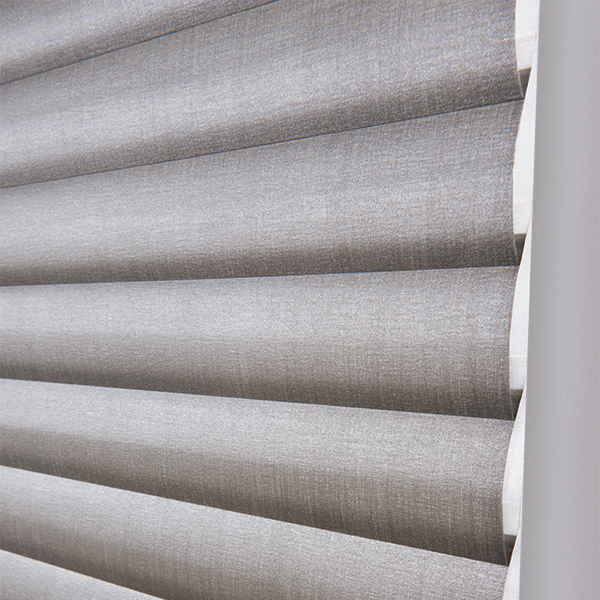 Specifically, Alustra® Duette® Architella® honeycomb shades with qualifying fabrics and lifting systems that are inside-mounted over double-glazed windows are eligible. 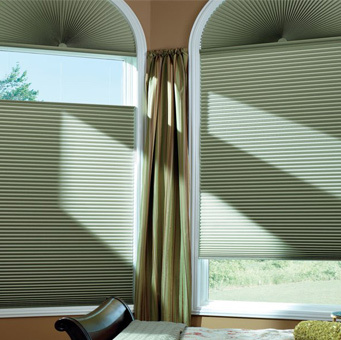 Additionally, certain Duette® Architella® honeycomb shades of certain sizes with qualifying fabrics and lifting systems that are inside-mounted over double-glazed windows are also eligible for this federal tax credit. These Hunter Douglas products are also the only window fashions without add-on insulation to qualify for any federal energy tax credit. Products must be purchased between Jan. 1, 2016 and Dec. 31, 2016 and must be installed by Dec. 31, 2016. For more information on energy-efficient window treatments and products eligible for federal tax credit, call Window Trends at 973.401.9048 or email info@windowtrendsnj.com. You may also visit Hunter Douglas’s website for further details.